Founded in 1920 as Reliance Gear Company, Reliance Precision has a long history of specialising in the design, development, and manufacture of high quality, high performance gears and geared systems for the aerospace and defence industries and recognises the importance of continually investing in new technology to ensure the company remains competitive. 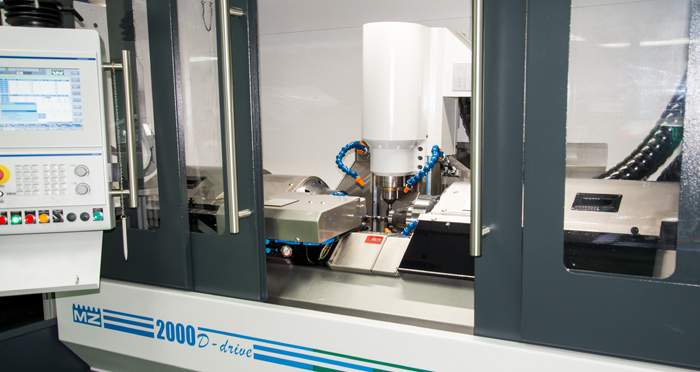 To complement the introduction of its new Hermle and Zeiss machines, Reliance has now installed a Monnier and Zahner Gear Hobbing Machine 2000 D-drive. This significant investment will double the company’s current hobbing capacity. “As a highly automated piece of equipment, the machine brings a step up in capability and scope for increased efficiency. The automatic loading and unloading function will reduce cycle time, allowing for the machine to run unmanned. This is a first for Reliance and we look forward to exploring what we can achieve”. The Gear Hobbing Machine 2000 D-drive is the first of its kind in the UK. It allows for hard cutting up to 60 HRc and has a fully synchronised direct drive tailstock. With CNC capability for larger components the machine will enable Reliance to produce spur and helical gears of up to 160 mm in diameter to ISO class 4 whilst maintaining, and exceeding, the exacting high standards of manufacture and accuracy the company upholds. As a longstanding supplier to the aerospace and defence markets Reliance understands the importance of remaining competitive by improving manufacturing capabilities and adapting to new technologies. The company is confident that the Gear Hobbing Machine 2000 D-drive will prove to be a valuable investment in terms of increased capacity and process improvement, which will ultimately lead to lower costs for its customers whilst continuing to further Reliance’s reputation as a trusted, specialist engineering company.